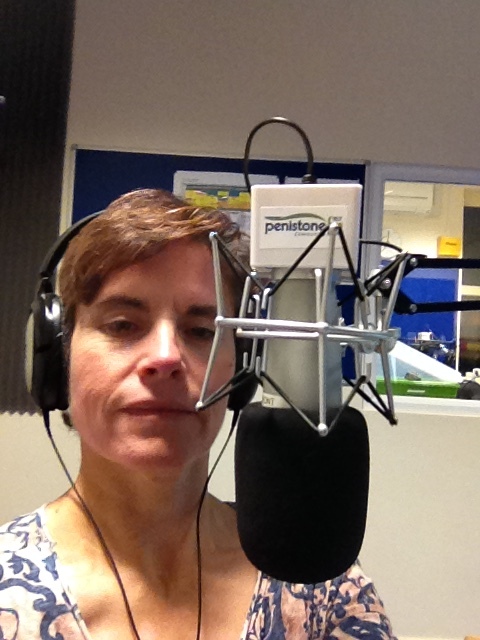 @PenistoneFM is participating in the ITV’s the #Peoples’Project. Come and support! 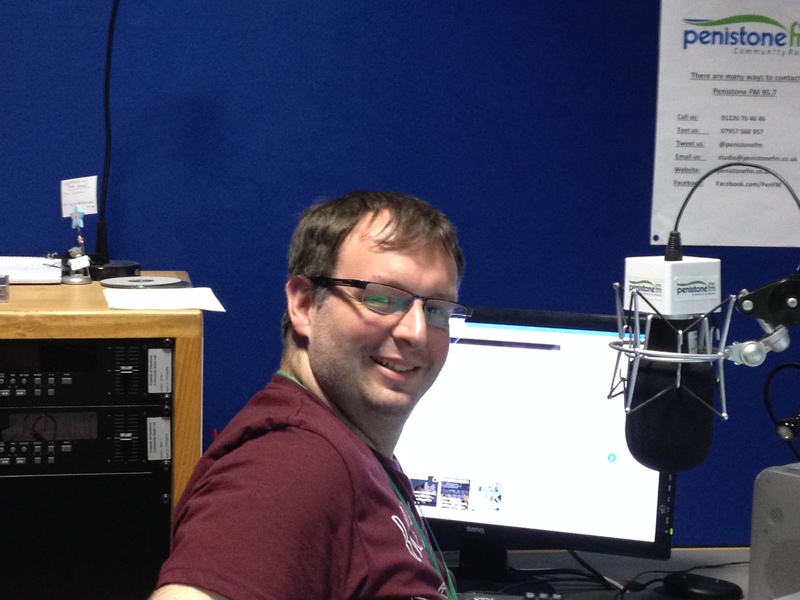 Those of you who have been following me for a while will remember that a few months back I wrote a post about volunteering and how I’d started working at the local radio station (Penistone FM). Just in case, and as the post was in the previous blog, I’ve added it to the end of this one so you can read it if you fancy a reminder or want to know how I felt at the time. Although some things have got in the way of my training there at times, Andy Riley, my mentor, has been a star showing me the ropes. I’ve also joined Jo Ruston on Sunday nights for her ‘Country Routes’ programme (from 8 to 10 pm, a must for all country music lovers), and more recently I started having some training sessions with Steve Dobson, who’s been going through some technical information and we’ve been talking about interviews. It’s good to see the diverse styles of the presenters as this will help create my own in the future. 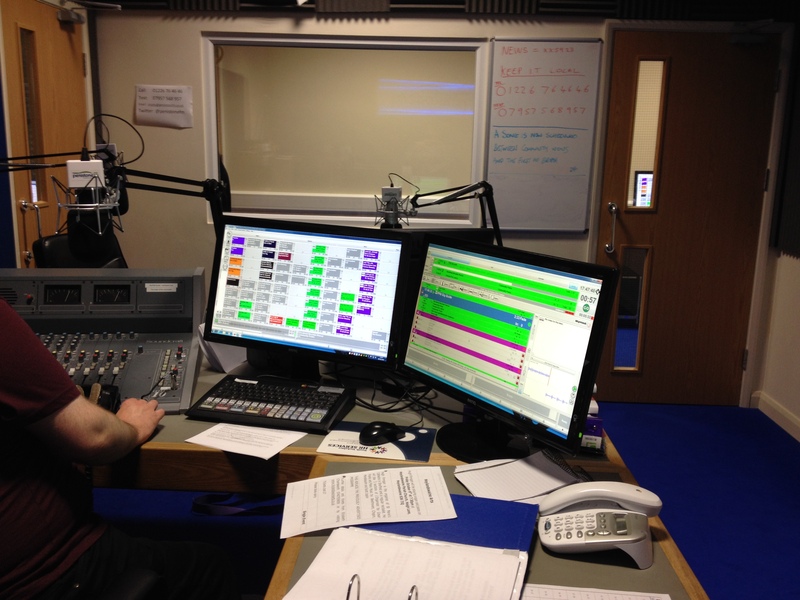 Under Andy’s and the rest of the team’s guidance, the last week of January and in February I was facilitating the three hour programme (Tuesday 5 to 8 pm) on my own (at least live on air, although with plenty of technical support). The 16th of February was my last official day under Andy’s supervision, as he is off to train more volunteers and we’ve agreed that once I’m back in the UK and after some reminder sessions with Steve Dobson, I might be taking over my own programme. I’ll update you on that as soon as it is confirmed, as I hope you’ll give me a hand with content for the programmes and you’ll listen (even if it has to be on-line). What have I learned? The joy of trying something new. How many things are going on locally that had gone unnoticed under my radar before. The enthusiasm of the local community. The importance of keeping an eye on the clock, thinking quick on your feet and making sure that you’re there in time for the news (no matter what). The need to think before you talk (and/or have a good excuse). And how dedicated people are to the project. Thanks to the whole Penistone FM team for making me feel so welcome. As I mentioned in the article I attach, the radio station is run by volunteers, and although that means we don’t get paid, the expenses for any projects and for the everyday running of the place have to come from somewhere. Advertising is a route but they’re always exploring funding options. And this year, Penistone FM is participating in ITV’s the Peoples’ Project. Although you’ll only be able to vote if you have an address in the UK, I thought I’d share as it is a great initiative and you can check the variety of projects there are. – click on the link and vote for us. And you can watch the film there too. As you all know, life can take some funny detours on the way to wherever it is taking us. I don’t know you, but I have found myself at times at an impasse, in between things. Things are moving but not quite ready yet for the next step or one needs to regroup and rework ones plans. And there I was. As I suppose many of you, I receive notifications from quite a few places. LinkedIn regularly sends me e-mails suggesting jobs nearby. As I haven’t been at home very much in the last few months I hadn’t paid them that much attention, but just before I went on my holiday I realised they were suggesting volunteering jobs in the area where I live. I’d always thought I’d volunteer at some point ‘when I had more time’ but recently I’ve decided not to put off things because there’s never enough time unless we make the time. I checked Do It organisation and there were quite a few things I was interested in, some very local. As so far I’d always worked away from Penistone (South Yorkshire, UK), where I live, I thought this would be an excellent opportunity to get more involved. I applied for a job in Penistone FM, went to visit and meet Martin Sugden who agreed to let me try, and now I’m going once a week, on Tuesdays from 5 pm to 8 pm, and sit at a desk under the watchful eye of Andy Riley, who is a fantastic trainer and knows well how to make people feel at ease. Penistone FM (you can check also in Wikipedia) was formed in 2005 as a non-for-profit community radio station to broadcast around the Penistone and surrounding area on 95.7 FM. The process of obtaining the licence and setting up took some time, and the station finally went on air, live, on the 6th of June 2009. It is entirely run by volunteers, and although I imagine many of you won’t be in the area, you can always check online, here, and there’s even an App you can download. If you want to know how I’ve found it so far (it’s very early days)…People are great, I love everything (the community ads [I’m now finally up to date with what is happening], the selection of weird news and the Quiz of Doom by Andy), I’m in awe of the time management skills necessary to fit everything in, of the technology, and I hope people enjoy listening to the programme (despite my accent). It’s like NASA but smaller! Andy tells me I’m doing OK, and hopefully I’ll be doing more and more things as I go along (I started pressing buttons and things last week), so who knows! I’m still getting to know the people working there, but so far, loving it. It’s me on the radio! I’ll keep you posted. Go on, check us out! And, why don’t you have a go at volunteering? I’m sure there are many good causes you might be able to contribute to, even if you only have a bit of time every week. And you might learn something, have fun, and what’s more important, help. Thanks so much to Penistone FM, and Andy Riley in particular for his patience, thanks to all of you for reading, and you know what to do, like, comment, share and CLICK! And consider VOLUNTEERING! It is, Debby! So much to learn! I was going to say it’s like blogging, having to come up with topics, but there’s the time issue too. Hopefully I’ll keep learning! I’m impressed with your determination to do and learn all these things. Good for you. But where do you find the time. (Can’t sleep, hence the time! Thanks, Sarah. It’s true that time doesn’t appear out of nowhere, we have to make time for the things we’re interested in. It’s a matter of deciding what we’re more interested in (or what we need more) at a certain point. The rest of the volunteers have regular jobs, families, are studying… So yes, everybody has busy schedules but if you enjoy it, you spend less time on something else (yes, sleep is overrated!). I always thought I’d volunteer at some point in life, but events showed me what I already knew, carpe diem is true. We don’t know if there’s going to be a tomorrow. 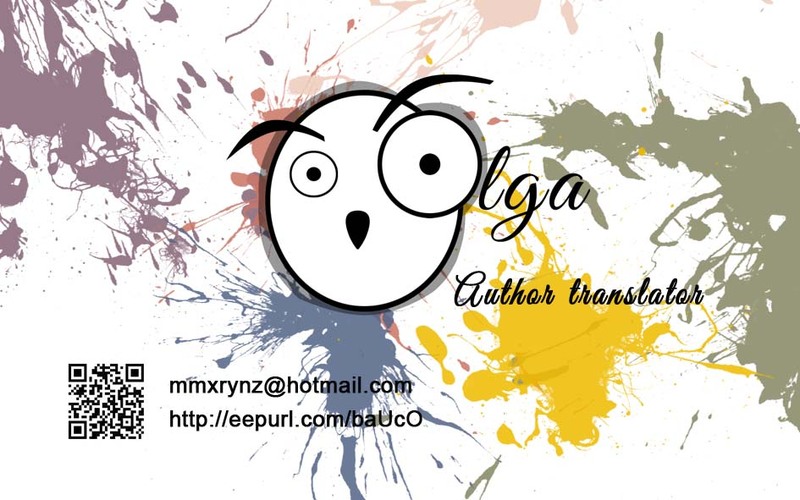 Olga, what an awesome update! I meant to ask you about your adventures in radio earlier. I’m so proud of you! Do keep letting us know how this progresses. It’s marvelous. This is so exciting. I enjoy–love–hearing about your life on the radio. It’s not something which would ever have entered my sphere otherwise. You’re a brave soul, Olga. Best of luck with ITV’s The People Project! Apart from your obvious skills with people and putting them at their ease, I would imagine the accent would be an added bonus. It’s fantastic that you are volunteering for local radio and putting something back into your local area. You have my vote any day. Thanks so much, David. So far nobody has complained about the accent and people have been very friendly. At the moment I’m in Barcelona but as soon as I’m back I’ll get everything started. I hope to get some assistance for stories, music, etc… Humongous hugs! Great post, Olga. Good luck with the People’s Project. I have just been on the site from the link, and voted for your radio station. (And another project too) It was very easy to do, so I hope that more people with UK addresses will support you. I like the photo of you live on air, but you’re not smiling, so I am guessing it must be a little nerve-wracking! Thanks, Vashti. You’re very kind. There’re lots to learn. I’ll be back in the UK some time after Easter and I hope to catch up where I left off (more or less).